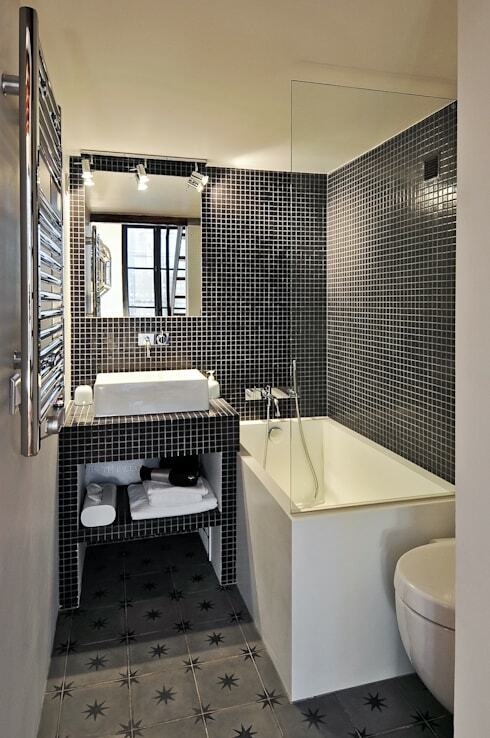 Are you feeling cramped by that tiny bathroom? Does it hurt your inner interior designer every time you enter that space with its claustrophobic size? Well relax if you can’t afford to tear down a wall, as that is not the only way in which you can increase that small bathroom’s visual size (fortunately). It’s all about how that room is being perceived – and luckily you have the power to change that. Through some clever décor tips and creative colour choices, we are about to teach you how to quickly transform that cramped and cluttered area into a bathroom filled with so much visual style and elegance that its limited size won’t even be an issue. Your shower might be a bit tiny, but that doesn’t mean you can’t enjoy a multitude of soaps and shampoos like everyone else. Hanging shelves will just take up more space, so how about creating cavities or wall niches instead? If you’re an avid DIYer you can try this yourself, otherwise rather ask a professional for assistance. Want a neat and comfortable bathroom? Focus on its layout, especially if that space is very small. 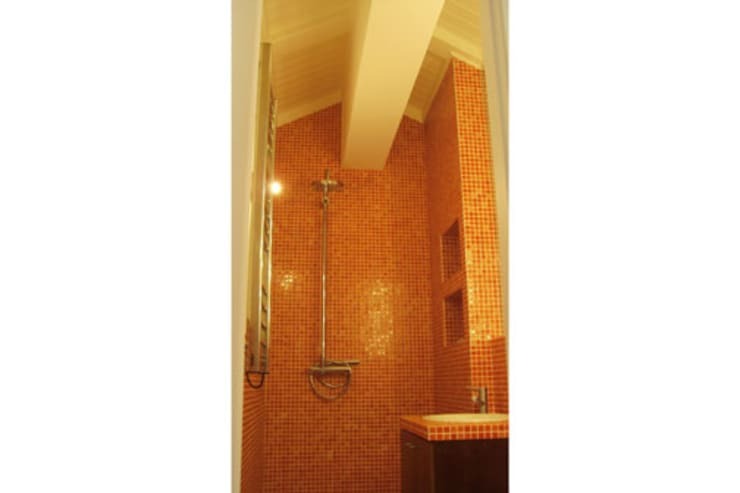 Here we see an example of how the sink, toilet, and shower are all placed against one wall, leaving adequate room open for storage and movement. A large mirror is always welcome in a bathroom, regardless of its size. But when paired with some brilliant lighting, the illusion of a spacious environment is even more fantastic. 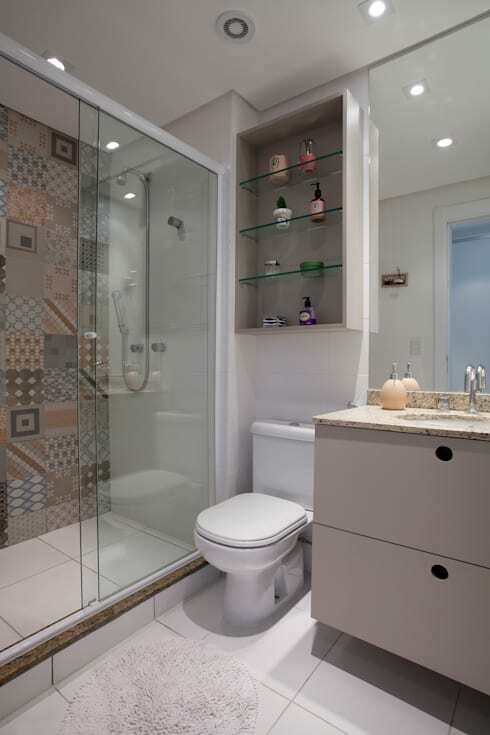 A bathroom may be small in width, but if it’s got a high ceiling, you’re in luck. 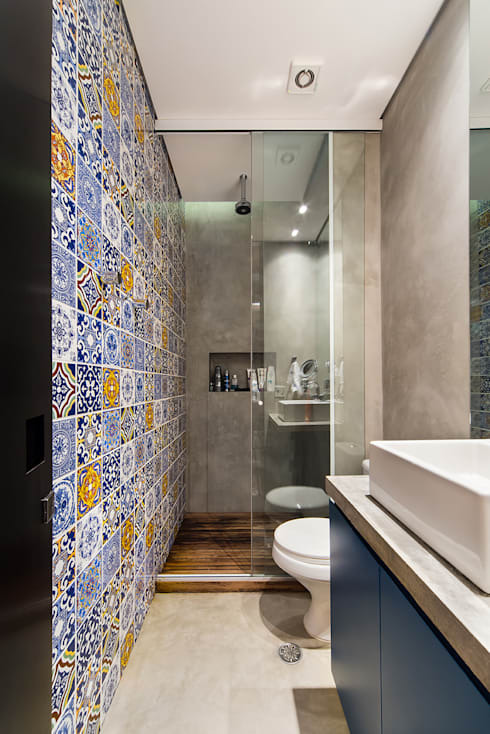 Adorn that vertical surface with some focal beauties, like Moroccan tiles in a kaleidoscope of colours and patterns. This will draw the eyes upwards and have people focus on the room’s vertical space rather than the horizontal. 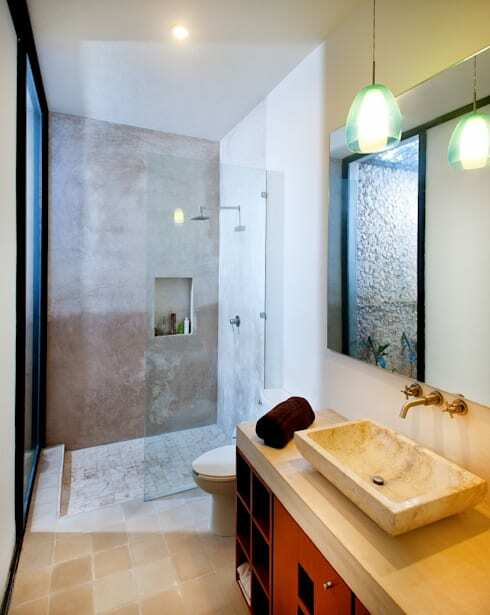 Make sure your bathroom’s colour palette is light in order to make it look more spacious. But fortunately we are not limited to only neutrals, so feel free to bring in some bright colours like pink, blue, green, or whatever catches your fancy. 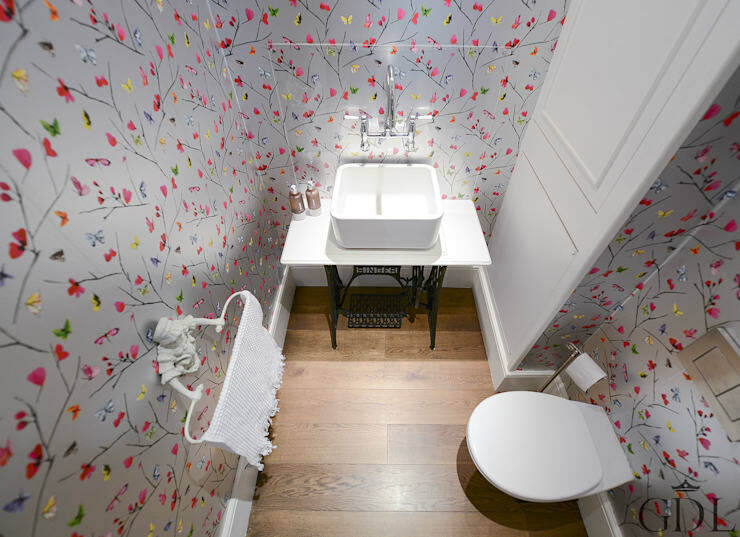 This floral wallpaper above does a superb job of making the small room seem open and inviting rather than cramped in. A light ceiling is important in a tiny room, as dark colours tend to close a space up. See our example above: a range of beautiful and striking tones that are mostly limited to the side surfaces, while the flooring and ceiling are dominated by a pale tone. If you don’t want to go too crazy in your tiny space, you can stick with a monochrome look, as that is always a safe option. The bathroom above may be small in size, yet it has all the necessities, plus flaunts a clean and stylish look with a couple of sleek surfaces added for elegance. On the other hand, feel free to dip your entire bathroom in light neutrals if you fancy. 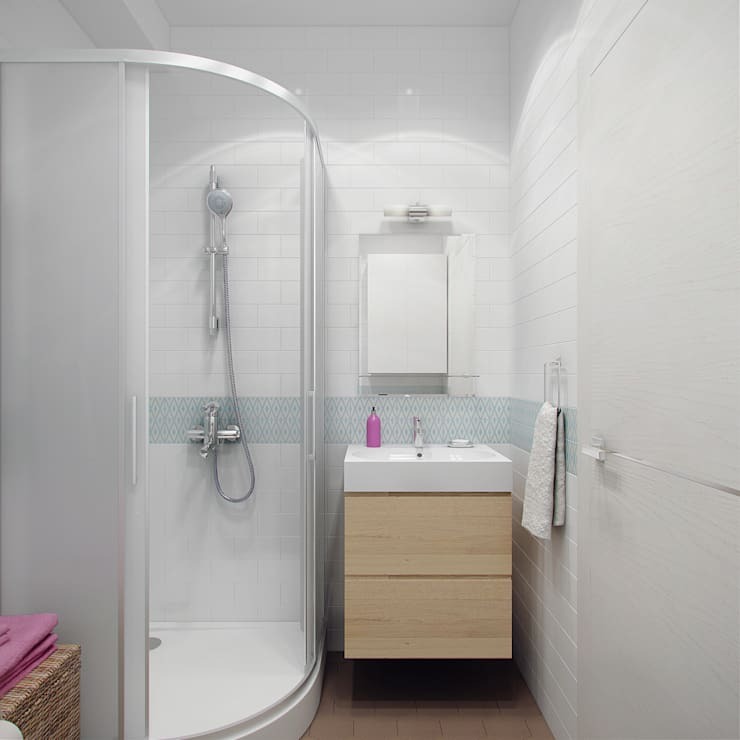 An all-white shower, walls, and storage units will help create the illusion of space. Just be sure to add some pattern and diverse materials in for detail, or else all those white tones can make your bathroom look rather clinical. If you want to opt for a full-on renovation, make sure you know: The Golden Rules of Bathroom Renovation. What other ideas can you dream up to style up a small bathroom?